Lt. Gov. 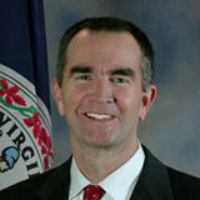 Ralph Northam unveiled “G3: Get Skilled – Get a Job – Give Back” – his proposal to develop a skilled workforce to fill the essential, well-paying new collar jobs of the 21st century in cybersecurity, computer programming, clean energy, healthcare, and other high need areas. In the new economy, demand for these new collar job skills is high, with about half of all job openings in Virginia projected to be new collar jobs requiring less than a four-year degree. In 2014, more than 175,000 job openings for these new collar jobs occurred in Virginia. Each of these new collar jobs, on average, took 26 days to fill, and often were filled by folks from other states. Through the G3 program, the state, its community college system, Virginia businesses, and motivated Virginians will work together to build a skilled workforce able to meet this demand. The G3 proposal is part of the lieutenant governor’s vision for an economy with opportunity for all Virginians – no matter who they are, no matter where they live. With the key asset of the community college system within an hour’s drive of every resident of the Commonwealth, every community can take part. Learn more about the lieutenant governor’s G3 proposal here. I’m here today to talk about a new workforce development program called G3 – Get Skilled, Get a Job, Give Back. I’ve been privileged to be part of a great team that’s been building the New Virginia economy. We’ve been building economic opportunity for everyone – no matter who you are, no matter where you are. Under the current administration, we’ve made great strides since the Great Recession. While the unemployment rate is 4.1% – in rural Virginia, places like where I grew up – it is much higher. We are well positioned to further grow our economy and create jobs across the Commonwealth. We have done a great job at educating, retaining, and recruiting college and post-college graduates. We rank 4th in the nation in percentage of population with an advanced degree, and 7th in the nation in population with a college degree. However, in order for every community in the commonwealth to begin seeing the effects of the recovery, we need to continue making progress. This means finding new ways to enhance the job skills of all Virginians to meet the demands of a 21st Century workforce. Because Virginia needs an economy with opportunity for all Virginians–no matter who they are, no matter where they live. To do this, we need to better diversify our skilled workforce – particularly jobs where you need a skill but don’t necessarily need a college degree – what some are calling new collar jobs. We rank below the national average and many of our neighboring states in percentage of the population with an associate degree or some type of workforce certification beyond a high school diploma. In the new economy, demand for these new collar job skills is high: about half of all job openings in Virginia are projected to be new collar jobs requiring less than a four-year degree. Our problem is that we are not producing the pipeline of skilled workers to meet the demand, especially in high-need areas such as cyber security, computer/IT, healthcare, early childhood education, and construction trades. Last year, more than 175,000 job openings for these new collar jobs occurred in Virginia. Each of these new collar jobs, on average, took 26 days to fill, and often were filled by folks from other states. This means businesses lost more than 36 million hours of productivity; families more than $1 billion in wages; and Virginia’s General Fund of an estimated $54 million in additional state income taxes – because we were waiting to fill positions. We have Virginians who are eager to learn the skills, and we have unfilled, well-paying jobs offered by employers eager to find qualified workers. We need to start matching the skills employers need for new collar jobs, with the skills being taught to our workers. So, today, I am proposing the G3 program: a partnership between the state, our community college system, Virginia businesses, and motivated Virginians in every corner of our Commonwealth to build a best in class workforce to fill the essential, well paying jobs of today and tomorrow — the new collar jobs of the 21st century in cybersecurity, computer programming, clean energy, healthcare, and other high need areas. As Governor, I will make it a top priority to ensure that every Virginian who wants a good-paying job has the skills to fill these new collar jobs. We will provide an opportunity for any Virginian, no matter where you live or what your background, to obtain a free associate degree or workforce credential that meets employer demands for new collar jobs. By providing that free education as a supplement to a high school diploma or as part of a retraining opportunity, we will build a workforce where Virginians of all ages are able to realize their full potential. For half a century, our community college system has been one of state government’s core assets – with a location within an hour’s drive of every resident of the Commonwealth. This means every community can take part in the G3 program. The state will fund last-dollar tuition and fees for any Virginian to pursue a workforce training credential or an associate degree in one of the targeted, new-collar job areas, from cyber security to early childhood education to construction trades to health care. The community college system will deliver that instruction, training and mentoring, and ensure that each student in the program obtains a degree or certification. But workers will also need to give back. Upon completing the free associate degree or workforce credential, the student will commit to one year of public service, such as working for a local or state government entity, a non-profit organization, or in an economically depressed area of the state where their new skills are needed. I am a strong believer in giving back, and have spent my life trying to lead by example. From my service in the Army during Desert Storm to working as a pediatric neurologist helping kids to volunteering at free health clinics around the Commonwealth, I have seen firsthand the power of helping others, of giving Virginians a hand up when they are in need. Now, more than any time in our country’s history, we need people who are willing to stand up and give back. So if you are a Virginian willing to give back to your community and your Commonwealth, I am going to make sure we provide you, free of charge, with the workforce skills and training you need to be successful, raise a family, and get ahead in life. A workforce credential on average means more than ten thousand per year in additional earnings. This is will bring more tax dollars to our state, but more importantly, provide a new pathway to the middle class. In this century the jobs will go where the well prepared workers are. We want that to be in every corner of our great Commonwealth, and with the G3 program we will ensure that we have the best skilled workers ready to compete for the new collar jobs of the 21st Century.